She had attempted suicide before. 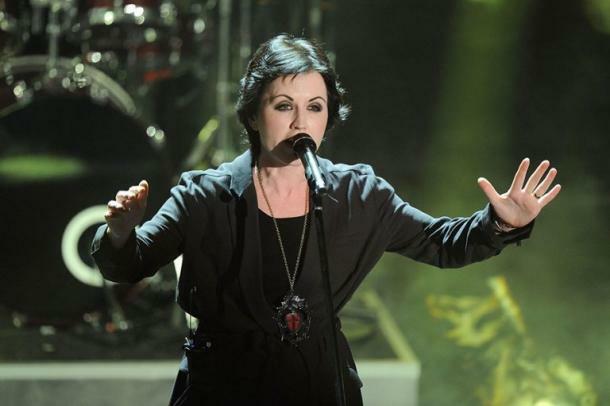 Dolores O'Riordan, the lead singer of The Cranberries, has died. Her publicist confirmed Jan. 15 that the 49-year-old singer died "suddenly" in London where she was visiting for a short recording session. "No further details are available at this time," the publicist said. "Family members are devastated to hear the breaking news and have requested privacy at this very difficult time." 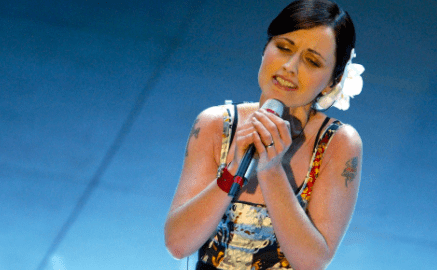 While the cause of the Irish singer's death has not been officially confirmed or released, in May The Cranberries had to cancel the remainder of their European tour due to O'Riordan's health issues. Their website cited "medical reasons associated with a back problem," and no further details were released. Just before Christmas, she posted on Facebook that she was "feeling good" and had done her "first bit of gigging in months." O'Riordan led The Cranberries to worldwide fame in the 1990s. Their best-known hits are "Zombie," and "Linger." She leaves behind her three children, Taylor Baxter, Molly Leigh and Dakota Rain, along with her ex-husband, Don Burton. Here are five things we know about O'Riordan, her untimely death, previous suicide attempt and her childhood. 1. She was sexually abused as a child. In 2013, O'Riordan revealed that she suffered from childhood abuse from the ages of 8 to 12. She said it started when her family moved to a busy housing estate where there were tons of people around all the time. Her mother was busy with work and her father was oblivious to it. "It was inappropriate touching, etc.," she said. 2. Her father suffered a massive brain injury. Her father, Terence O'Riordan, was left permanently brain damaged after a bicycle injury in 1968. She never told her dad about the abuse, and when he died in 2011, her abuser went to his funeral. 3. She tried to commit suicide by overdose before. She told the Belfast Telegraph in 2014 that her childhood sexual abuse led her to have a "terrible self-loathing." She admitted that in 2012 she tried to commit suicide by overdose. "It manifested itself in my behavior and the pathologies I began to develop in my early adult life, such as my eating disorder, depression and eventually the breakdowns." 4. She suffered from anorexia. She said fame took a toll on her and she quickly developed anorexia. 5. She assaulted an air hostess and police officers on a flight. O'Riordan pled guilty to assaulting an air hostess and three police officers on a flight in 2014. She reportedly told the police: "You're not going to arrest me. I am an icon. I'm the Queen of Limerick." Her lawyers said she was diagnosed with bipolar disorder and that her mental health played a part in the assault.